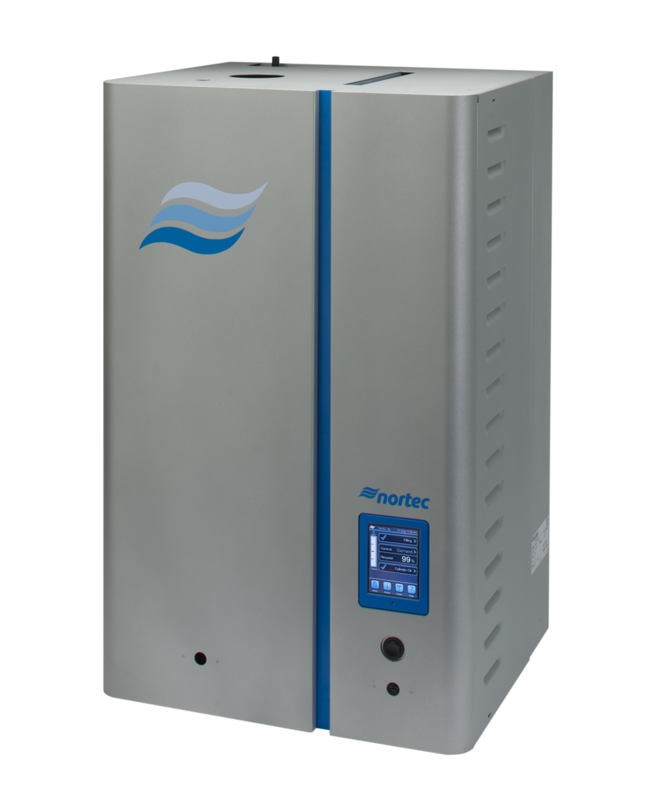 Condiar EL Series electrode steam humidifiers offer complete application flexibility to systems engineers, contractors and customers needing a commercial / industrial humidifier. They can be integrated into central Heating/Ventilating/Air Conditioning (HVAC) systems or placed in specified locations for individual room control. Models are available to serve small or large areas with outputs of 5 - 200 lbs/hr. When using the SSR option with a high precision humidistat, the RS-Series humidifier can be accurate to ±1% RH. The RS-Series humidifier is designed for use with potable or DI/RO water. For potable water applications, the unique scale collector tank option saves time and money during maintenance. The scale tank collects minerals and is easily removed for disposal of scale. The Condair RS-Series is the most advanced resistive steam commercial / industrial humidifier available. It’s high quality heating elements provide the most accurate humidity control available in the world. All RS-Series humidifiers have an advanced controller with display for precise and efficient relative humidity control. The humidifier can be controlled by a humidistat, a relative humidity sensor or be connected to a central Building Management System (BMS) for maximum control flexibility. The RS-Series humidifier’s controller provides readout and adjustment of all operating parameters. The humidifier will make service adjustments automatically or trigger a shutdown while displaying the function requiring operator attention. There have already been a number of reports of malfunctioning Condair humidifiers using third party cylinders. In order to guarantee proper functionality, performance and longevity of your Condair product, it is important to ensure that you are strictly using authentic Condair manufactured cylinders supplied by a Condair authorized representative like those offered by Advanced Thermal Solutions.